IS the future of the US car industry in Silicon Valley? After Tesla and Google, Apple appears to be readying for a plunge into the industry long rooted far away in the steel belt of the US upper Midwest. According to various media reports, the maker of iPhones and iPads has created a special unit baptised “Titan” with hundreds of staff to begin developing an electric car, with 2020 the target date. Apple remains silent on the project, but the reports were partially backed up by a lawsuit filed against the tech giant. Battery maker 123 Systems has accused Apple of aggressively poaching its staff. But it puts Apple in line with Tesla, the current champion of the electric car, and Google, the online giant which is focused on the self-driving, also electric Google Car. The Big Three US automakers — General Motors, Ford and Chrysler (now a part of Fiat Chrysler Automobiles) — are taking the threat from the Detroit outsiders seriously. “Given the company’s (Apple’s) tremendous capabilities, that is no surprise to anyone,” GM spokesman Dan Flores said. Ford too had no comment on Apple’s plans, but the No 2 automaker recently opened a research centre in Palo Alto, the heart of Silicon Valley, as it looks to the future of self-driving automobiles. Bill Visnic, an analyst at industry specialist Edmunds.com, said that given the seven-year average time frame to develop and bring a car to the mass market, the Detroit giants are not under serious pressure yet. Even with the unexpected success of Tesla, for instance, the company still sold less than 35,000 cars last year in a national market of more than 16 million units. And Tesla’s cars are confined to a very high-end niche market. “Apple is not an immediate threat to the US auto industry. I don’t think you’ll see the volume there; the number of cars won’t really begin to approach anything like Detroit is making right now at any time soon,” said Visnic. Alec Gutierrez, a market analyst at Kelley Blue Book, said Apple’s strength is its role as a “disruptor” in industries, and that the “comprehensive ecosystem” of its popular consumer electronics could be extended to an “Apple car”. Apple has the money to put into a new car — some US$180 billion (RM655.2 billion) in capital built up to invest in new projects. “How many companies have totally failed into trying to enter the automotive industry? It’s a tough thing and it’s very expensive,” added Brett Smith, programme director at the Center for Automotive Research. He pointed to Tesla continuing to lose money despite its success in marketing its luxury cars with battery systems superior to any offered by Detroit. And the major automakers are all working hard on making more and better hybrid and all-electric vehicles. That sets a high bar for any new entrant, notes Smith. What Apple could bring to the industry is what Google brings: ways to process and use data. Google is focused not on the physical car itself but on the technology that will allow cars to run themselves. Its self-driving vehicles, in the guise of various car models, have already driven hundreds of thousands of miles on California roads in test runs. Apple already has something to offer the industry, notes Visnic. 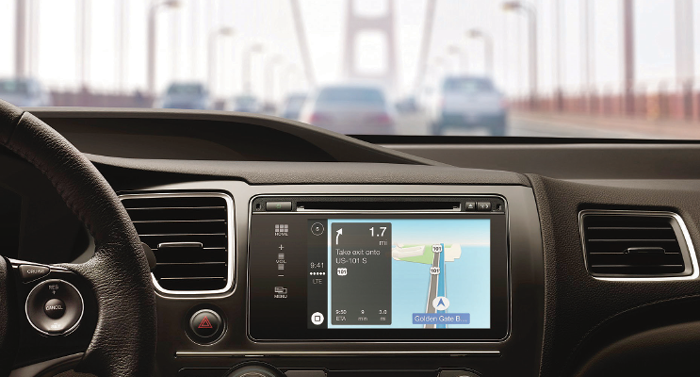 It could become a key supplier of connectivity technology for cars, putting its operating systems up against Google’s Android, already being installed in many car models. “For Apple, they have proven to be phenomenally good at user experience,” Smith said. This article first appeared in The Edge Financial Daily, on February 24, 2015.